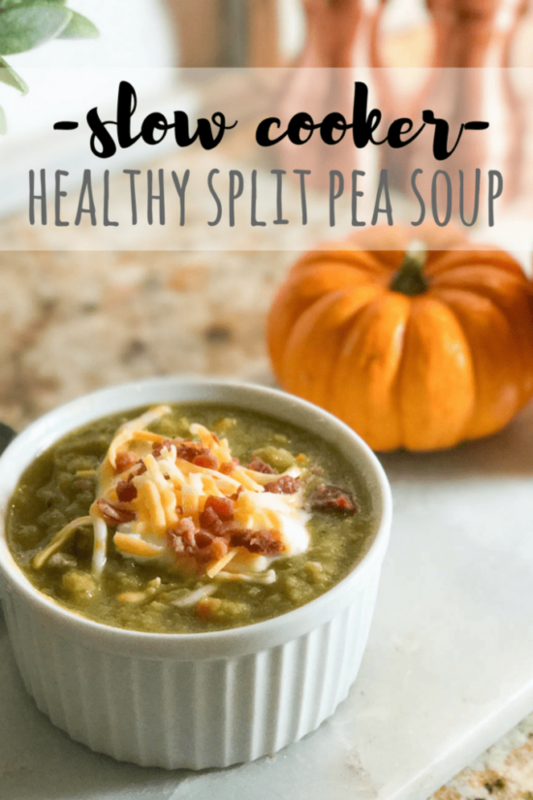 Slow Cooker Healthy Split Pea Soup! – Every wish dinner was done when you got home? Guys. It’s Fall. I (Rachel) almost, literally, cannot even contain my excitement (that sentence made me think of the Jimmy Fallon ‘Ew’ skit!). 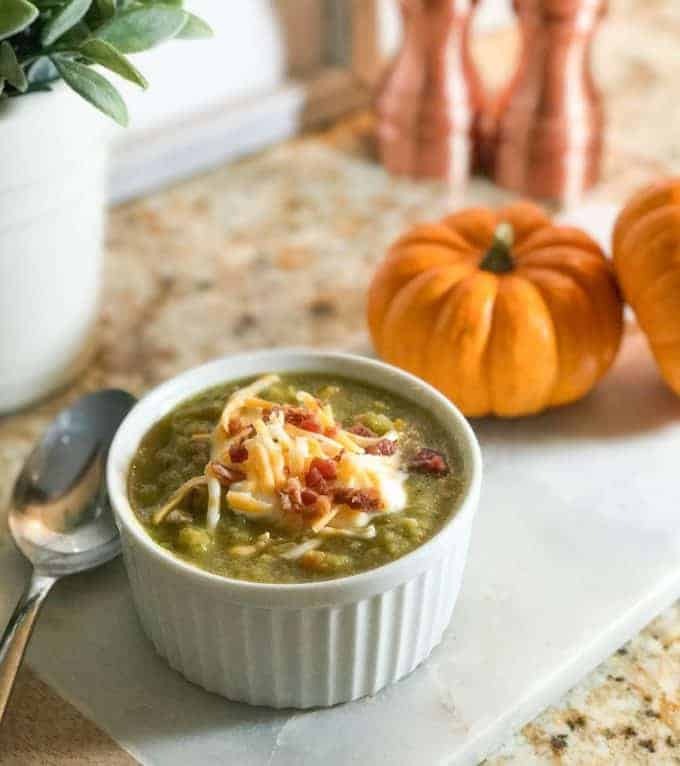 I love everything Fall is, and stands for: Changing leaves, cable knit, sweaters, candles, literally everything pumpkin, pea coats, and SOUP! Is there anything cozier than cooking a big pot of soup on a Friday evening? Add a glass of wine in my hand, Michael Buble playin’ in the background, a new pair of LuLuLemons and I’m in my happy place, big time. 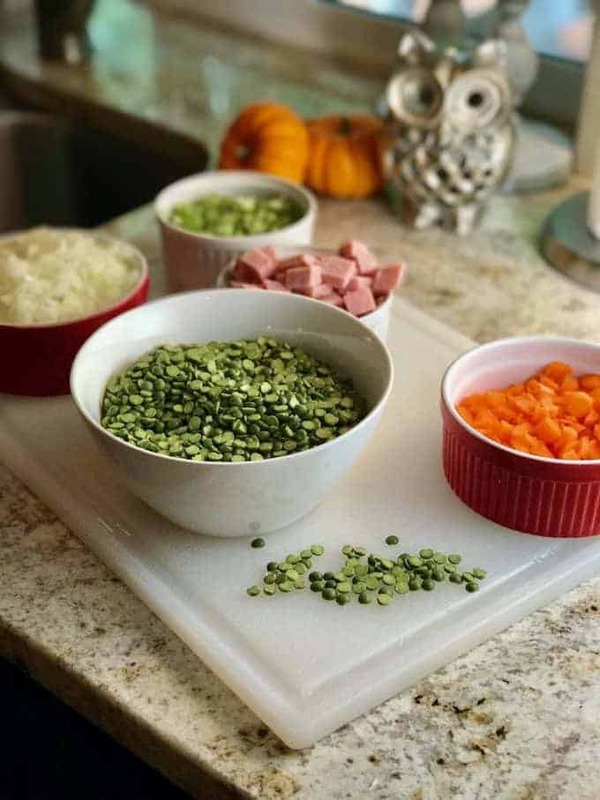 Recipe for Slow Cooker Split Pea Soup is below, but if something else sounds good, you can see all of our delicious soups HERE! One of our favorites is Sweet Potato Turkey Chili! And this Sausage Gnocchi Soup – Our number one soup recipe! A healthy, easy take on a comforting classic! Garnish with sour cream, cheddar and bacon for a real savory, treat. Combine all ingredients into a slow cooker. 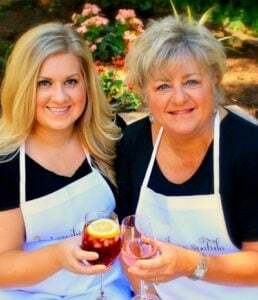 *Vegetarian Friendly Version* Leave out cubed ham, and substitute chicken broth with vegetable broth. After 4 hours, whisk soup briskly. 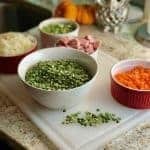 The split peas should thicken, and the soup will turn creamy. Serve! Garnish with sour cream, cheddar, and bacon if desired. OMG, I love split pea soup so much. The husband and I don’t have plans for Thanksgiving this year. We are kinda excited about it because we’re going hiking instead! I need a dinner to prepare after we get back and I just found it! This recipe is perfect because I can throw it in the slow cooker and it will be done by the time we get home! We’ll most likely be exhausted and I won’t want to cook, so having dinner ready by the time we get some would be amazing!!! So happy I stumbled across this recipe! How about nutrition information on these recipes. It would sure be nice as some of us have dietary restrictions. Thank you! Hi Linda! Done! Sorry for the delay, we have been traveling!